Directions:From Glenn Hwy, go North on Bragaw to Thompson, Left on Thompson, Right on Mumford. 617 on Right. Tenants pay electric. Current rents are low at: $850, $850, and $845. SchoolsClick map icons below to view information for schools near 617 Mumford Street Anchorage, AK 99508. 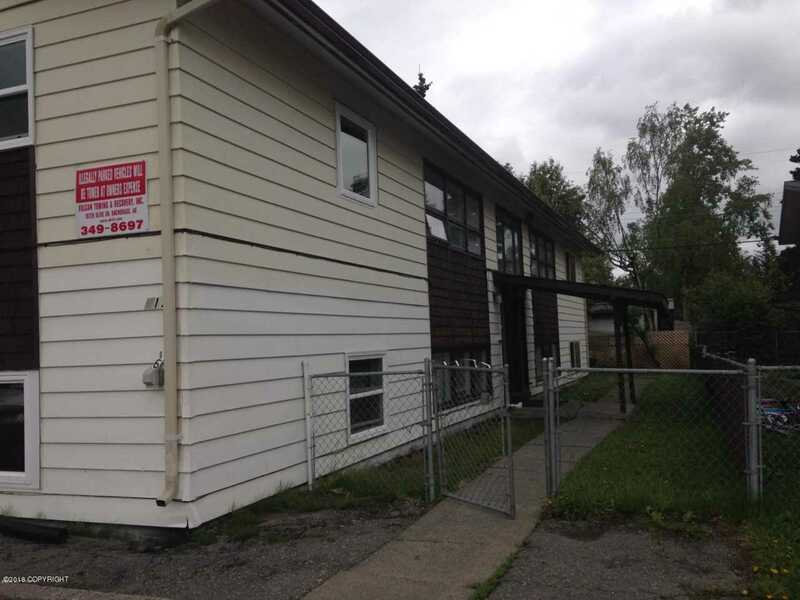 MLS # 18-19111: This property at 617 Mumford Street, Anchorage, AK 99508 is located in the Mountian View N3 W2 subdivision and is listed for $337,900. MLS # 18-19111 has been on the market for 145 days.